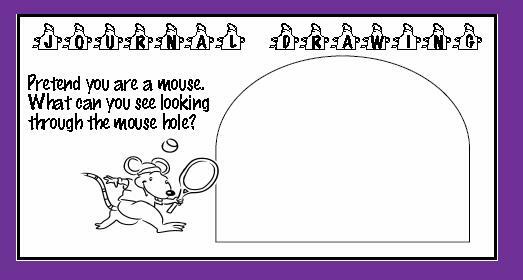 I am always investigating ways to increase the incidental writing that i can get my students to do. As they get older many students begin to dislike writing, I think this correlates with the time that writing changes from writing a few sentences (K-2) into writing ‘text types’ with paragraphs. Last year when I had an all boys class, I was faced with two thirds of the class being very ‘anti-writing’. I had to try to promote as much incidental, daily writing as possible. I had used journal writing in the past, but found many students had ‘writers’ block’ when left to write their own thoughts. Journal writing topics are great, I found a lot of ideas here. 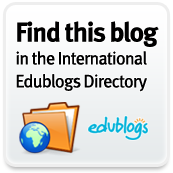 I developed a journal writing topic that gave the students the content for their writing. I linked this to social skills, cultural events, class topics and student interest and made sure that a range of writing styles and genres were covered. 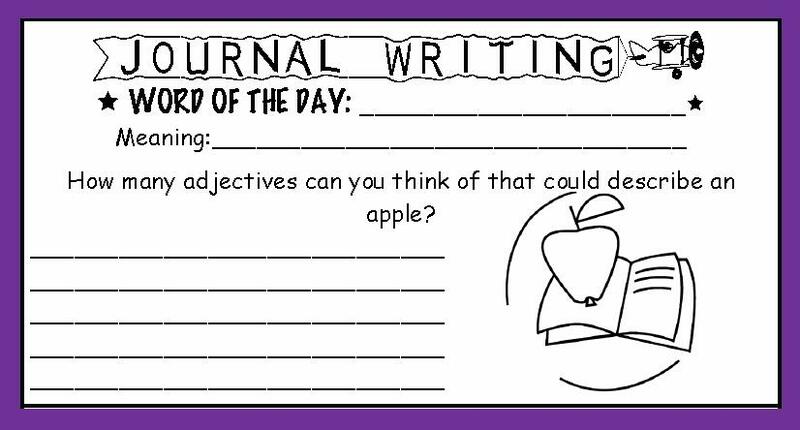 To promote vocabulary, I used a ‘word of the day’ study and combined it with my journal writing. I created templates for the journal writing. As I had an all boys class, I did a little bargaining. One of the Journal Writing tasks I substituted for Journal Drawing. I gave them a specific drawing task as they all loved drawing. This year I am back on a Co-Ed Class, and am continuing to use Journal Writing. I have added an Extension section, as I have a lot of fast finishers, and this can include the Journal drawing options. 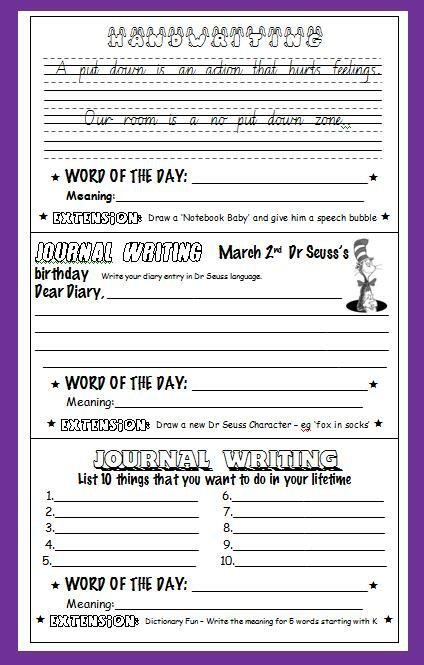 I have also created a handwriting activity to substitute for one of the Journal Writing tasks. This sheet gets stuck in our handwriting book not our journal, and the extension tasks continue our handwriting skills, with a social skills focus. I try to do three journal writing/handwriting sessions a week with a word of the day. I don’t have my class on Tuesdays due to Assistant Principal commitments. Having only 3 a week gives me flexibility to move one around if changes occur, or if for some reason I’m not there! I love art lessons, and am forever searching for successful art lessons. You know the ones, where the kids go “Wow!” when you show them what they are going to create, you have the materials readily available and its relatively easy for the class to complete, either using simple but effective techniques or having manageable steps to follow. There are so many super websites available for art lessons, many that show you a finished product and provide lessons. One of my favourite sites is Artsonia Kds Art Museum, search the gallery to see actual students work. Lately I have been teaching art lessons using online tutorials and speed videos, and it’s having an AMAZING effect on my 10-12 year olds. Youtube has plenty of these videos, as does Teachertube and ehow. I even do the artwork with the kids, which is a great way to model the trial and error nature of art. After completing a tutorial from the Tyler’sArtShack Channel on youtube, we emailed Tyler telling him how much we like his work and sent him a link to look at our attempts. What an opportunity – appreciating artworks and communicating directly with the artist! It’s completely changing the way I will approach art teaching, gone are the days of only appreciating the masters. And let’s face it, you just can’t email Van Gogh. Here is an artwork we used to inspire us before we did our own chalk pastel drawings of a beach. And here is a video of an artwork that we also tried to create, exploring the technique of making tints and tones of a colour.